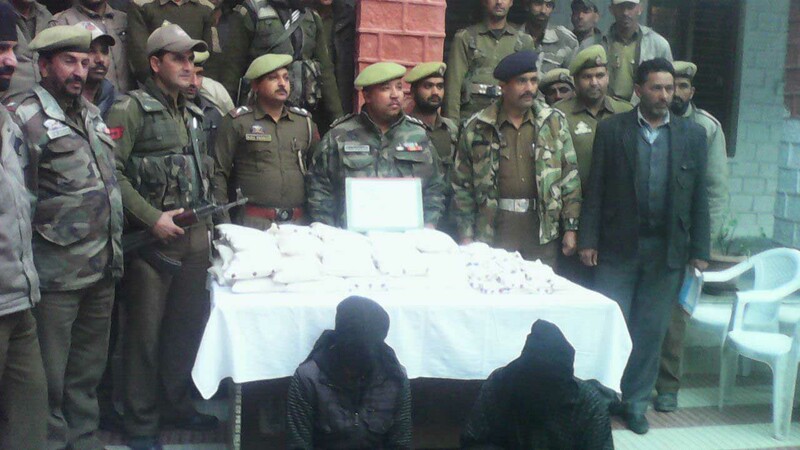 Jammu : Fifty six kgs of heroine costing Rs.56 crore in international market has been seized in Poonch area of Jammu. Police said that 56 kgs heroine was loaded in tata mobile vehicle No;JK12-1652 and vehicle was coming from Rajouri to Poonch and vehicle was intercepted near Kaliae bridge ,Poonch. Driver of vehicle, Shakeel Ahmed and other person, Mohd Rafi of Mandi have been arrested.